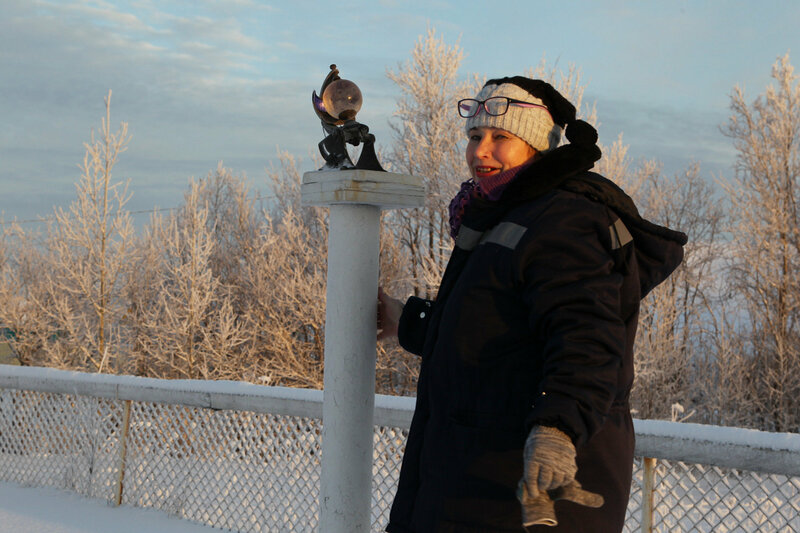 Meteorologists from Arkhangelsk, Dmitrov and the Marresale polar station discuss clouds, robots and being happy. "Another snowstorm has flared up, and bygone thoughts are lurking in the dark. Another snowstorm ..."
The cell-phone on the table rang and played a song by Alla Pugachova. "That's right, we also listen to weather music," Nina laughed and answered the call. The M-2 Arkhangelsk meteorological station is located inside a small wooden house near a forest, not far from the Yuras River and a gated community for dacha owners. "I don't understand you office people. You spend five days a week and eight hours a day at work. We work day and night and then take a day-off. True, we were hard pressed for personnel a few years ago. Sometimes we had to work for days on end. But we are completely staffed since last fall. Two young specialists have arrived, and we are very happy to have them here. Of course, they make mistakes and slow the performance of our high-quality station...," said Lyubov, head of the station, who looked very much like a school teacher. She stopped short and waved her hand dismissively. In reality, the specialists relay the station's data every three hours. And the Geneva Secretariat of the Global Climate Observing System (GCOS) has awarded an honorary certificate to the station's staff in appreciation of this valuable data. "It is very hard to work here during the first 12 months," Lyubov noted, emphasizing the word "very." "When I was just starting out, I had trouble dealing with cloud meteorology. Today, young people see discipline as the most difficult thing. You see, no one can deviate from the work schedule. When they tell you to read, you must read, instead of staring at your telephone." The station chief has trained several dozen meteorologists. 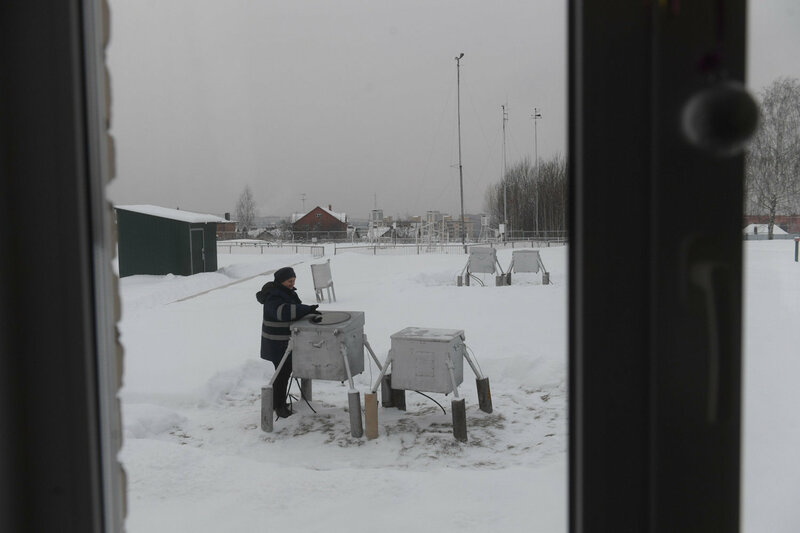 People working at M-2 will later be posted at various remote stations all over Russia. Most importantly, young specialists must learn the value of responsibility, Lyubov noted. The falsification of data remains a serious problem, and some people only want to earn money at weather stations. "Sometimes I tell students about a difficult subject, and they ask if I worked at a remote station. 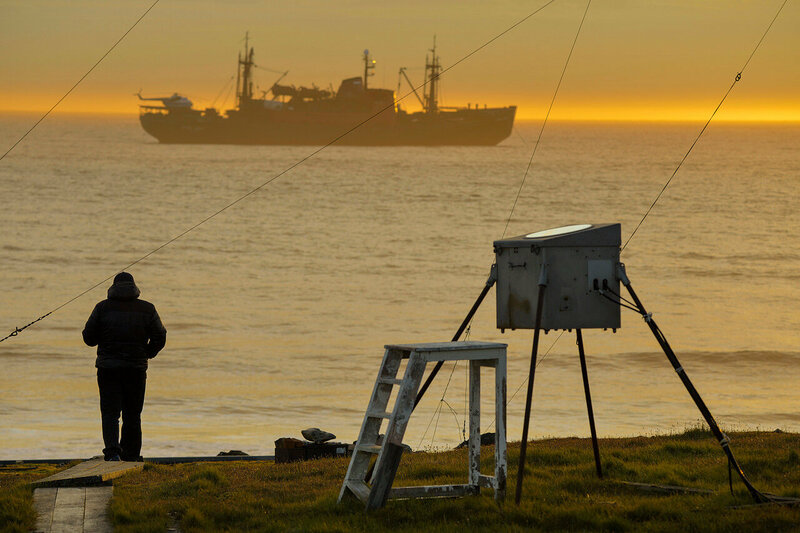 Yes, I worked for 15 years at remote stations on the White and Barents Sea coasts." 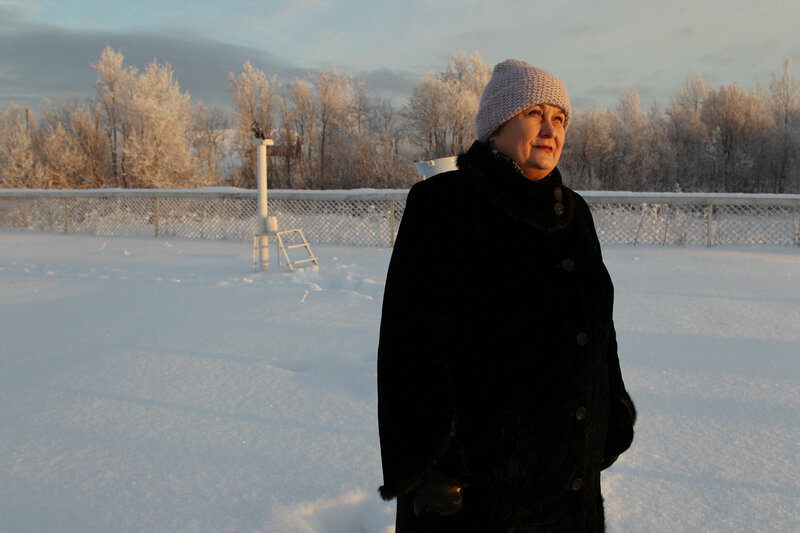 In the 1990s, Lyubov and her husband obtained a transfer to the Arkhangelsk station because her son had to go to school, and he also needed to see his parents every day. The boy spent two years with his relatives in the Kemerovo Region but later told his parents to bring him home, threatening to run away if they didn't. The family received a home near the station in Arkhangelsk. 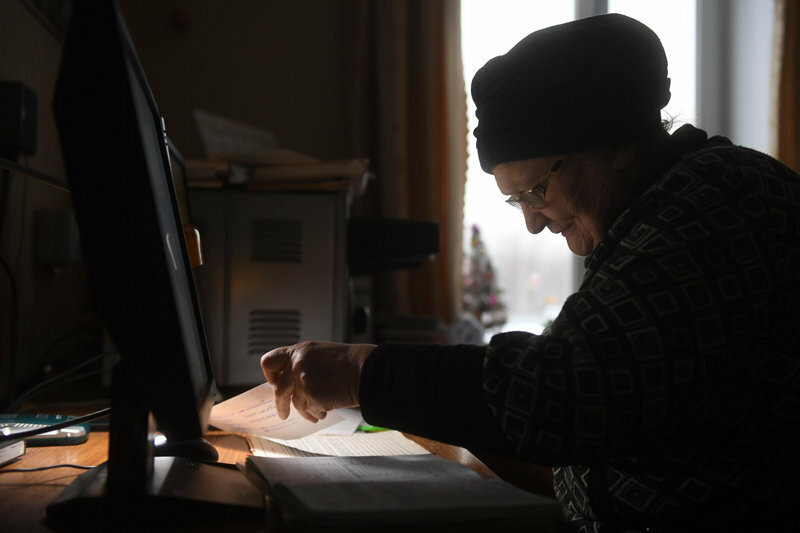 Lyubov has been living there for the past 26 years, and it takes her only a minute to reach the station. "People working at remote stations can relax after completing their shifts. They can't leave, but they can sleep, cook or sing," Lyubov showed me the regions on the map where she used to work; many people know about these places only from geography lessons. "We didn't have any free time. There is no water at the station, and you have to stockpile snow and ice. This is a good way to use the time. Life was never boring, and I never felt ashamed of my work," she noted. The sun plunged behind a nearby forest, the sky turned orange for an instant, and then it grew dark: another short northern day was over. Lyubov looked out the window and spotted a cat running along a narrow path, with its tail standing tall. The work schedule of meteorologists implies that they can see the street anytime. Local specialists call themselves the sentinels of the weather. "Gera, where do you think you are going? Come on, get back inside." Gera, a small black dog, was trying to avoid plowing into his master's legs and was prancing around in the frosty weather. "To be honest, meteorologists are not like anyone else. We are underpaid but hardworking people, and we are proud of our careers. And we never think of quitting. No way; our life is never boring," Lyubov added. Meteorological observations were conducted on Franz Josef Land, also part of the Arkhangelsk Region, until the late 1950s; and the station was later relocated to Heiss Island after atypical climatic conditions were recorded in the previous vicinity. The homes at the abandoned station were gradually covered with snow that turned into ice; they became rundown, with powerful Artic winds toppling meteorological huts. The situation changed after the local harbor became an anchor base for the Russian Arctic National Park. During one summer expedition, a student named Alexander Molchanov acting as a park inspector decided to resume observations. He rebuilt a hut and conducted regular observations in addition to his work, encountering polar bears from time to time and confirming Lyubov's theory that meteorologists are not like anyone else. "Friends, meteorology is actual weather during any specific time period. And it is up to weathercasters to make weather forecasts; so you should read their reports more attentively. If they talk about precipitation in some areas, this may not be the place where you are at that moment. Soon we'll learn to predict the local rains, and identify the areas that will miss the precipitation." 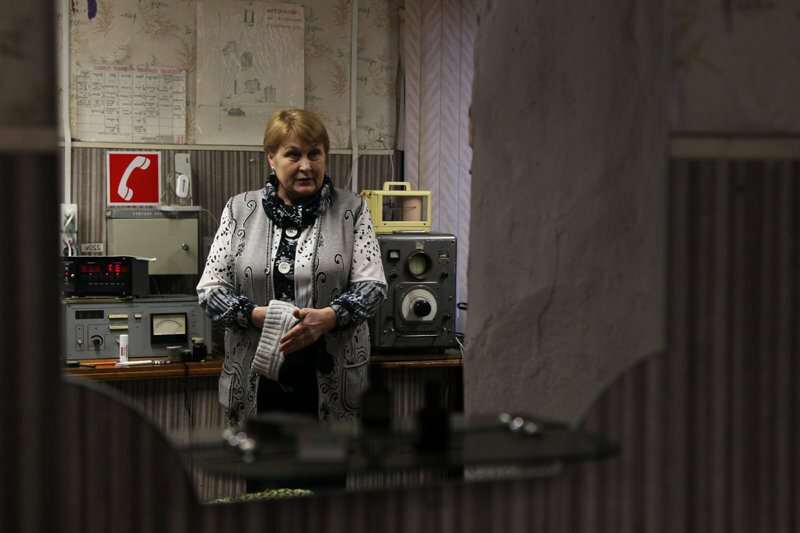 Lyubov laughed when told that automatic stations would soon replace humans. "You can't get anywhere without people," she said bluntly. "How can robots determine cloud patterns? And how can they tell cumulonimbus clouds from nimbostratus clouds? And what about precipitation, including rain, snow, hail and mixed precipitation? Only people can do this," she noted. "Never heard of any weather station here," a man replied while peering inside our car. We drove around for 40 minutes trying to find the station; this didn't seem difficult because we had the address and even a photo. The station is located 178 meters above sea level, the tallest place in the city. A high point is best because a station in a hollow would only be good for observing fog. The station's building and adjacent site are surrounded by a security zone, but there are many other buildings in the vicinity; this is why we had trouble finding it. A blizzard swept the area, but we could see footprints in the snow showing that someone had just left the station. "We are a bunch of old girls from Taldom, and we need some younger co-workers. Of course, young people want better wages. They are studying so far and completing advanced training at our station; we'll see how the situation develops," station chief Nina Kopylova noted. Nina has three hours of free time between deadlines for sending data to the Hydrometeorological Center. "Every detail counts. For example, a snow-covered thermometer will show the wrong temperature. I immerse myself in this so everything will be according to the rules," she noted. Nina went out and used a broom to sweep away the omnipresent snow at the site. "There is no bad weather. As I see it, everything is God's grace. When I came here today, I saw precipitation all over the place. So, I told myself to get to work. Our profession is philosophical," Nina added. The station was established 102 years ago, with Nina working here for the past 56 years. "A lot has changed since I first came here. Cutting-edge technology has arrived. In the past, we calculated lower cloud levels by launching a lantern with a candle inside. In the 1970s, we received a remote-controlled device, and that box is still in front of the station. We also have an automated meteorological complex. We only enter data that a computer can't generate, including cloud levels, the number of clouds and their shape and the visibility range. 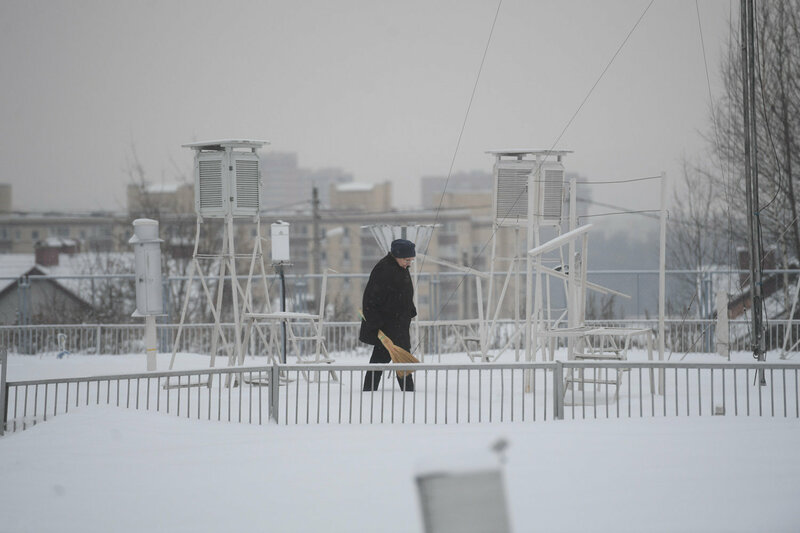 We also measure precipitation levels in winter," Nina said. The equipment does malfunction from time to time, and it is therefore impossible to replace people. 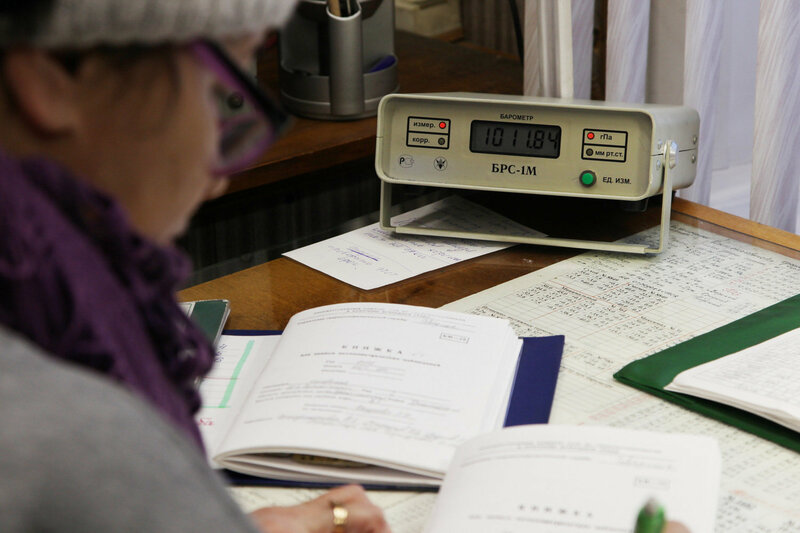 Meteorologists continued to work here even during the Great Patriotic War, and archive records are stored from 1941. "Yes-yes-yes," Nina muttered, leafing through the files from past decades. "The hottest summer was recorded in 1972, with temperatures hitting plus 36 degrees Celsius in August. People had trouble breathing, and peat bogs caught fire. I remember that year. In December 1978, temperatures dropped to minus 42 degrees Celsius. And snowdrifts over one meter high formed in March 2013," she added. In the past, weather conditions remained stable for eight or ten days, but now everything can change in 24 hours, she noted. "Observation and contemplation are the most interesting parts of our work. I have been doing this all my life. I can calculate many parameters without tools or instruments, but we are not supposed to work that way," Nina said. She has never been late for work in 56 years, and she claims she always comes early. "Sorry, I have to go because it's time to relay data," Nina donned a warm jacket and walked toward the meteorological site past a sturdy fir-tree planted near the porch in the late 1970s. "I don't know about the future of our profession because we are engaged in routine daily affairs," she added. 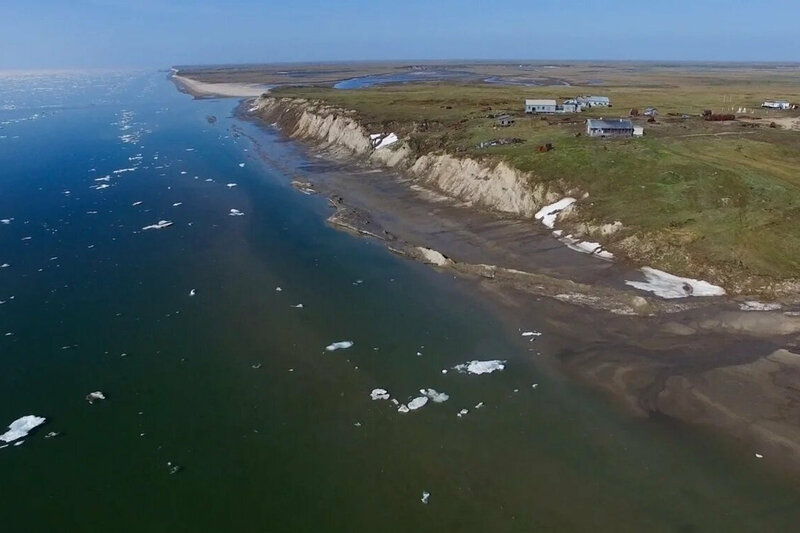 This Nenets word means Sand Spit where a hydro-meteorological station is located between the tundra and the Kara Sea. Three people live and work there. "I spent two months aboard the scientific research ship Mikhail Somov, we visited over 30 remote stations and saw the Arctic's alien landscapes, polar bears, bird colonies/breeding grounds and icebergs; but it was the people that amazed me most. They say the Arctic won't tolerate random people, and this is really so," director of photography and documentary maker Vera Vakulova noted. "On the one hand, meteorologists are incredibly free, and their spirit always takes them to places where no one has gone before. On the other hand, they are always busy with their work or hobby. The Gubenko family at the Marresale station amazed me: they brought two metric tons of earth with them and set up a greenhouse. This is fantastic: they grow vegetables at the station." 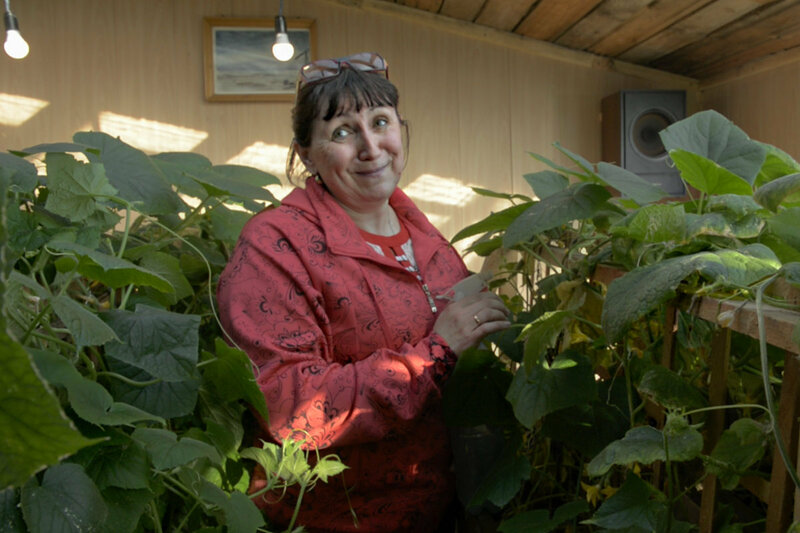 Yelena, a technician-meteorologist, explained the decision to build the greenhouse by her love for flowers. "This is a piece of living nature, and I relax there. I like to go to the greenhouse: I sit, think for a while and listen to music. After that, I resume my daily activities," she noted. According to Yelena, she had almost no idea where she was going because information about the North was so scarce. "It was very interesting to see the Aurora Polaris for the first time: I went to the site and saw that mesmerizing and inexplicable fairy-tale miracle. Since then, I have seen it many times over the years, and I always look forward to it. It looks like an artist used a brush to paint a picture on the sky. The Moon here is so huge, and the big stars also shine bright. Everything is different here," she added. There is a superstition at the station: if a new employee sees a polar bear for the first time and doesn't flinch, it means that he or she is up to the challenge. Yelena didn't flinch. Of course, polar bears are a far cry from that cuddly Umka critter from the famous 1969 Soviet animated cartoon, but one can coexist with them. "People are different here, and you can see what they are like straight away. It's important to maintain friendship and to help and understand each other. There are different situations, and we learn from each other," Yelena said. "Life is very complicated at the station, and you don't pay attention to mere trifles. I have an entirely different opinion of many things. City dwellers are like puppets that have to obey a lot of rules. Things are simpler here, and you feel more free. It's great when you have finished your work and you're warmly dressed and well-fed," she said. "I'm happy here, and happiness means that a person must live as one with his or her heart," Yelena added.